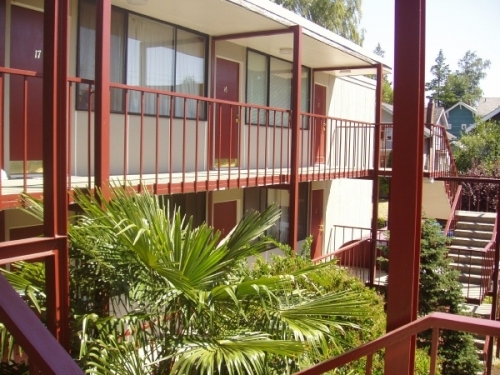 Flexible Lease terms (6-12 months) Renters insurance is required. We use a 2.5 rent ratio for qualifying perspective tenants. Lee and Associates accepts checks or money orders only, No cash or credit cards. Water, sewer, garbage monthly fee $40 per person. Inside cats only, please; i.e., they will be confined to the apartment at all times; not allowed to be loose on the property. Pet Deposit: One cat at 20% of monthly rent Two cats at 25% of monthly rent, limit of 2 cats per apartment. Sorry no dogs. 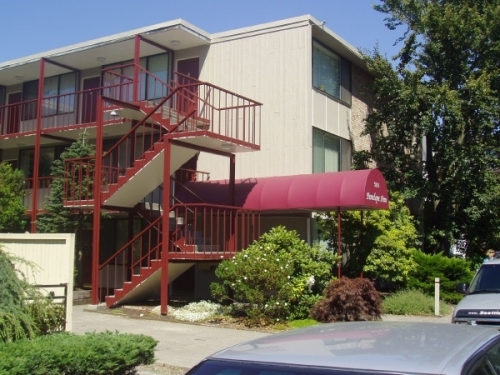 Just a short 5-minute walk to the northern end of the University of Washington campus--only 3 blocks away! A large grocery store and a variety of unique "Ave" (University Avenue) shops and restaurants are nearby. 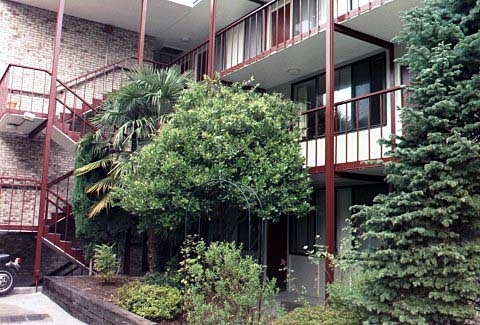 This building has nice landscaping, open breezeway entries, and a coin-operated laundry room on the 2nd floor. Private bathroom and kitchen. Nice open living area with enough room for extra furnishings. 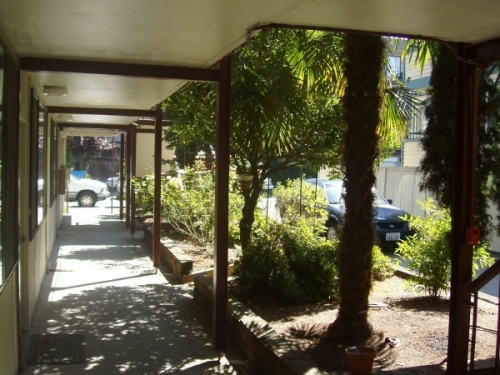 Studios have full galley kitchens and private baths. Pictures are of actual unit when possible, otherwise similar units are pictured.